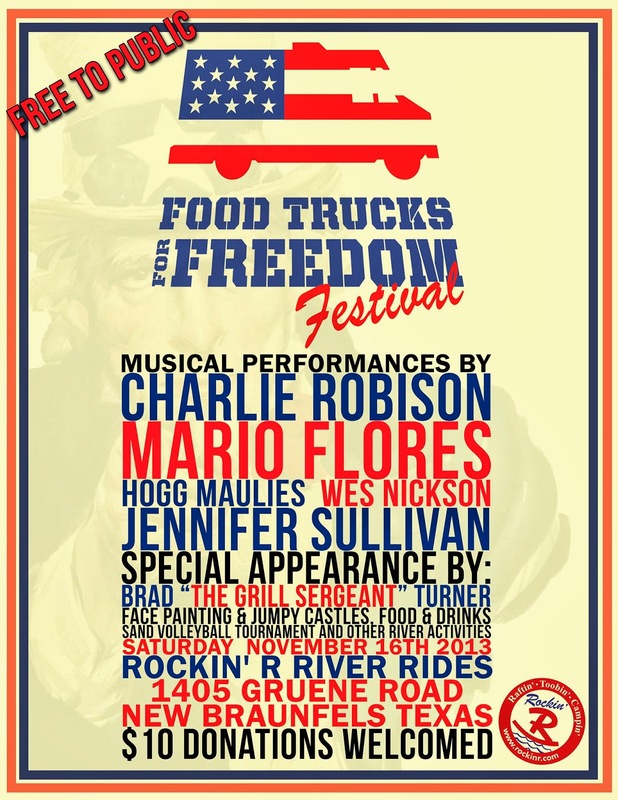 Food Trucks for Freedom was founded with a single goal; empowering veterans to become successful entrepreneurs. Justin Harris is a veteran of the Marine Corps that is using his many years of experience growing businesses through good times and bad to help other veterans in the process of creating and growing new businesses. Paula Vacek has 15 years experience in business consulting, helping companies restructure for greater profitability and growth. Kyle Cummings is also a Marine Corps vet, who has had a successful sales career in the medical field. Kip Legler brings a business management background as well as many years of social services and marketing experience in the food industry. Together, along with the relationships they have built through business, they have they tools and experience needed to pull together an organization capable of undertaking this admirable charge of helping veterans take a positive turn in their own lives and futures by becoming successful business owners. With too few people venturing into private enterprise these days, the hopes of the gang at Food Trucks for Freedom is that they can have an impact on the business world large enough to move the dial and revive the entrepreneurial spirit in America. 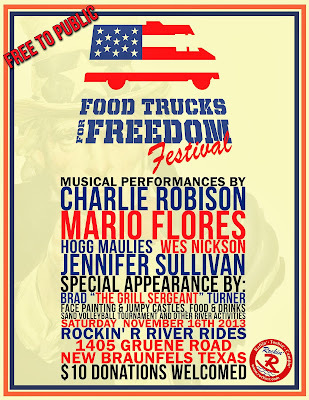 The Food Trucks For Freedom Fest is the first of many events that will raise grant money and awareness of Food Trucks For Freedom. 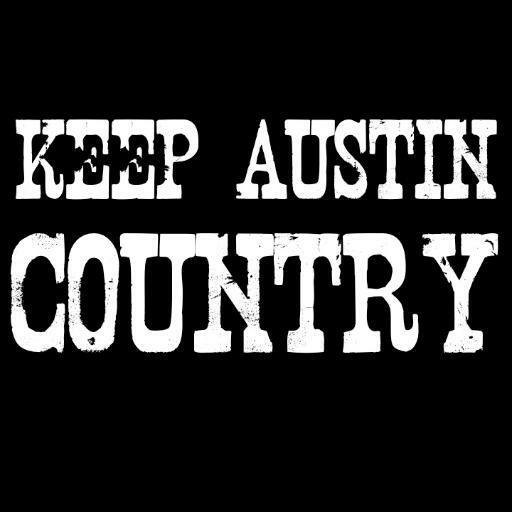 The day will start at 12:30 with a volleyball tournament, then move into live music at 1 with Hunter Maples, Josh Fields, Jennifer Sullivan, Wes Nickson Band, Mario Flores & The Soda Creek Band, Hogg Maulies then the headliner Charlie Robison! 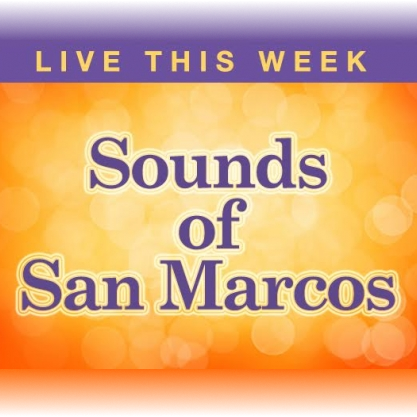 There will also be face painters, caricature artist, bounce houses, marching bands, local artists and the FOOD from the great food trucks of Pretty Thai for a White Guy, Bleu Bowls, Peachwave Frozen Yogurt, Teka Molino and Buffalo Wings & Rings. "Our mission is to empower veterans to reconnect and transition to civilian life by partnering with, and mentoring them to become successful entrepreneurs. One of the biggest challenges that Veterans face upon separation from the military, is what to do for the next phase of their lives. I was in the exact same situation at one point in my life as well, so I can relate to all of the anxious feelings that Vets have when re-entering the civilian life. I finished my service to this country on August 18th 1998 and I’ll never forget the feeling of excitement and fear of starting that new chapter in my life. It was six months after my separation that I realized if I wanted to make the kind of money necessary to live in the civilian world, I was going to have to work for myself and build a business. I started this organization to help other Veterans avoid the mistakes made when starting a business by providing the necessary tools and resources to open sustainable turn-key operations with unlimited growth and earning potential."